SIP Trunk Protocol | 8x8, Inc.
Business phone system technologies continue to evolve. Instead of relying upon traditional phone systems, businesses today are upgrading to fully virtual phone environments. The most popular being Session Initiation Protocol (SIP) trunking over VoIP. This useful technology offers you a customizable, scalable and cheap business phone solution. If you’re thinking about upgrading your current system, or want to get the most out of your virtual phone system, then this post is for you. Learn about SIP trunk protocol, how it can benefit your business and what to look for in a SIP trunk provider. What Is SIP Trunk Protocol? SIP trunking is also called SIP trunk protocol. This refers to a type of service that replaces traditional phone lines with internet-based phone service. SIP protocol is typically applied to VoIP networks, and simply initiates and closes communication sessions over the internet. SIP can be used for a variety of purposes, like sending instant messages, conducting a video conference or making phone calls. In order to transport voice information over the internet, the audio signals need to be converted into data. This is done through the use of codecs. These encoded packets are then transported using a specific transport protocol. SIP packets are also transported by protocols on another layer of the transmission. Since SIP isn’t involved in the encoding and transmission of data, it’s become the industry standard for VoIP data transmission. SIP trunking is an integral part of business VoIP systems. With VoIP, the call is traveling over the internet instead of traditional phone lines. SIP trunking extends the functionality of a VoIP system by allowing you to make and receive phone calls, even on traditional phone lines. SIP trunks are made up of multiple channels where the calling data will transfer between. The price you’ll pay for a SIP trunk provider depends on the maximum number of calls you’re making at the same time. Most businesses move over to SIP trunk based phone system due to massive cost savings. In some cases, your business can realize savings of up to 50 percent. Easy to add lines. Traditional phone lines often have a fixed capacity. Since systems like PRI rely on physical infrastructure, it’s difficult and costly to scale up your phone needs. With SIP, you can scale your calling needs up or down basically in real-time. Better rates. SIP will provide your business with cheaper international calling rates. For some businesses, this might not matter, but for businesses with customers or offices overseas, this is an absolute necessity. Works with multiple office locations. With SIP, you can easily route calls between multiple offices, no matter the distance in-between them. This can save your business a lot of money, and help to improve your customer experience overall. When choosing between a SIP provider you’ll have a lot of different options available, so you’ll want to do your research. 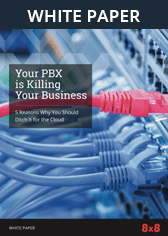 First, you’ll have to choose between a PBX or cloud-based system. PBX systems are usually installed on your premises and can offer you greater reliability. While cloud-based systems can afford you more flexibility. A lot of business move over to SIP trunk phone systems to reduce costs, but security and support is an important consideration. With high-security protocols, like encryption and firewalls, you can ensure that your data and any consumer data stays safe. You’ll also want a SIP trunk protocol provider with a solid support team. This will make setup much easier and help you avoid or work through any issues quickly. SIP trunking should provide you with a high-level of audio quality. Recent technological developments have improved audio quality across the board. Still, you’ll want to choose a provider that places a focus on call quality first. Most SIP trunk providers will charge based upon trunk-based pricing or user-based pricing. Make sure the pricing model you select is in alignment with your calling needs. SIP trunk protocol has changed the way business phone systems works. By employing a SIP phone system across your organization you’ll greatly improve your communication while cutting costs, and affording you more flexibility.